Bantele, S.C., Ferreira, P., Gritenaite, D., Boos, D., and Pfander, B.
DNA double strand breaks (DSBs) can be repaired by either recombination-based or direct ligation-based mechanisms. Pathway choice is made at the level of DNA end resection, a nucleolytic processing step, which primes DSBs for repair by recombination. Resection is thus under cell cycle control, but additionally regulated by chromatin and nucleosome remodellers. Here we show that both layers of control converge in the regulation of resection by the evolutionarily conserved Fun30/SMARCAD1 remodeller. Yeast Fun30 and human SMARCAD1 are cell cycle-regulated by interaction with the DSB-localized scaffold proteins Dpb11 and TOPBP1, respectively. In yeast this protein assembly additionally comprises the 9-1-1 damage sensor, is involved in localizing Fun30 to damaged chromatin and thus is required for efficient long-range resection of DSBs. Notably, artificial targeting of Fun30 to DSBs is sufficient to bypass the cell cycle regulation of long-range resection, indicating that chromatin remodelling during resection is underlying DSB repair pathway choice. Thanisch, K., Song, C., Engelkamp, D., Koch, J., Wang, A., Hallberg, E., Foisner, R., Leonhardt, H., Stewart, C.L., Joffe, B., and Solovei, I. Nuclear envelope localization of LEMD2 is developmentally dynamic and lamin A/C dependent yet insufficient for heterochromatin tethering. Peripheral heterochromatin in mammalian nuclei is tethered to the nuclear envelope by at least two mechanisms here referred to as the A- and B-tethers. The A-tether includes lamins A/C and additional unknown components presumably INM protein(s) interacting with both lamins A/C and chromatin. The B-tether includes the inner nuclear membrane (INM) protein Lamin B-receptor, which binds B-type lamins and chromatin. Generally, at least one of the tethers is always present in the nuclear envelope of mammalian cells. Deletion of both causes the loss of peripheral heterochromatin and consequently inversion of the entire nuclear architecture, with this occurring naturally in rod photoreceptors of nocturnal mammals. The tethers are differentially utilized during development, regulate gene expression in opposite manners, and play an important role during cell differentiation. Here we aimed to identify the unknown chromatin binding component(s) of the A-tether. We analyzed 10 mouse tissues by immunostaining with antibodies against 7 INM proteins and found that every cell type has specific, although differentially and developmentally regulated, sets of these proteins. In particular, we found that INM protein LEMD2 is concomitantly expressed with A-type lamins in various cell types but is lacking in inverted nuclei of rod cells. Truncation or deletion of Lmna resulted in the downregulation and mislocalization of LEMD2, suggesting that the two proteins interact and pointing at LEMD2 as a potential chromatin binding mediator of the A-tether. Using nuclei of mouse rods as an experimental model lacking peripheral heterochromatin, we expressed a LEMD2 transgene alone or in combination with lamin C in these cells and observed no restoration of peripheral heterochromatin in either case. We conclude that in contrary to the B-tether, the A-tether has a more intricate composition and consists of multiple components that presumably vary, at differing degrees of redundancy, between cell types and differentiation stages. Hamzeiy, H., and Cox, J.
Curr Opin Biotechnol, 2016, 43, 141-146. What computational non-targeted mass spectrometry-based metabolomics can gain from shotgun proteomics. Computational workflows for mass spectrometry-based shotgun proteomics and untargeted metabolomics share many steps. Despite the similarities, untargeted metabolomics is lagging behind in terms of reliable fully automated quantitative data analysis. We argue that metabolomics will strongly benefit from the adaptation of successful automated proteomics workflows to metabolomics. MaxQuant is a popular platform for proteomics data analysis and is widely considered to be superior in achieving high precursor mass accuracies through advanced nonlinear recalibration, usually leading to five to ten-fold better accuracy in complex LC-MS/MS runs. This translates to a sharp decrease in the number of peptide candidates per measured feature, thereby strongly improving the coverage of identified peptides. We argue that similar strategies can be applied to untargeted metabolomics, leading to equivalent improvements in metabolite identification. Geyer, P.E., Wewer Albrechtsen, N.J., Tyanova, S., Grassl, N., Iepsen, E.W., Lundgren, J., Madsbad, S., Holst, J.J., Torekov, S.S., and Mann, M.
Mol Syst Biol, 2016, 12, 901. Proteomics reveals the effects of sustained weight loss on the human plasma proteome. Sustained weight loss is a preferred intervention in a wide range of metabolic conditions, but the effects on an individual's health state remain ill-defined. Here, we investigate the plasma proteomes of a cohort of 43 obese individuals that had undergone 8 weeks of 12% body weight loss followed by a year of weight maintenance. Using mass spectrometry-based plasma proteome profiling, we measured 1,294 plasma proteomes. Longitudinal monitoring of the cohort revealed individual-specific protein levels with wide-ranging effects of losing weight on the plasma proteome reflected in 93 significantly affected proteins. The adipocyte-secreted SERPINF1 and apolipoprotein APOF1 were most significantly regulated with fold changes of -16% and +37%, respectively (P < 10-13), and the entire apolipoprotein family showed characteristic differential regulation. Clinical laboratory parameters are reflected in the plasma proteome, and eight plasma proteins correlated better with insulin resistance than the known marker adiponectin. Nearly all study participants benefited from weight loss regarding a ten-protein inflammation panel defined from the proteomics data. We conclude that plasma proteome profiling broadly evaluates and monitors intervention in metabolic diseases. Although the terms “cryo-EM” and “SKI complex” evoke images of ice and snow, they actually relate to structural biology. Scientists at the Max Planck Institute of Biochemistry and the Gene Center of the University of Munich (LMU) have now shown that the cellular protein factory and the SKI protein complex are in direct contact. The SKI complex is part of a molecular shredder that breaks down mRNA, the construction manual for proteins, into its individual components. To conduct their analysis, the researchers used cryo-electron microscopy, a technique that involves flash-freezing protein complexes to allow even the tiniest details of their structure to be studied in their natural state. Ribosomes are the molecular protein factories of cells. Following a construction manual – the messenger RNA, or mRNA – they assemble protein building blocks to form chains. These chains are later folded into tiny molecular machines – the proteins. Proteins then perform a variety of tasks in the cells. Roland Beckmann and his team at the Gene Center of the University of Munich (LMU) specialize in investigating the structure of the ribosomes using cryo-electron microscopy. 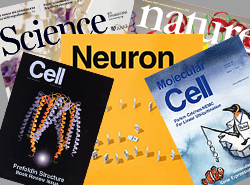 Elena Conti’s group “Structural Cell Biology” at the Max Planck Institute of Biochemistry in Martinsried has been studying the structure and function of the exosome, a shredder for mRNA molecules, for many years. When the protein construction manual is no longer needed, or when it contains an error, the exosome breaks down the mRNA into its basic components and recycles it. 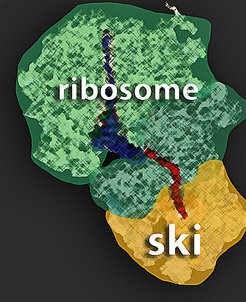 In a joint project between these two groups, scientists at the two institutions have now shown that the SKI protein complex, which serves as the motor for the exosome in breaking down mRNA, is in direct contact with the ribosomes. Lemke, S.B., and Schnorrer, F.
Mech Dev, 2016, [Epub ahead of print]. Muscles are the major force producing tissue in the human body. While certain muscle types specialise in producing maximum forces, others are very enduring. An extreme example is the heart, which continuously beats for the entire life. Despite being specialised, all body muscles share similar contractile mini-machines called sarcomeres that are organised into regular higher order structures called myofibrils. The major sarcomeric components and their organisational principles are conserved throughout most of the animal kingdom. In this review, we discuss recent progress in the understanding of myofibril and sarcomere development largely obtained from in vivo models. We focus on the role of mechanical forces during muscle and myofibril development and propose a tension driven self-organisation mechanism for myofibril formation. We discuss recent technological advances that allow quantification of forces across tissues or molecules in vitro and in vivo. Although their application towards muscle development is still in its infancy, these technologies are likely to provide fundamental new insights into the mechanobiology of muscle and myofibril development in the near future. Through evolution, the immune system has developed sophisticated mechanisms for fighting illnesses associated with viruses and tumors. T cells play an important role in this setting. They can identify peptides, small protein sturctures, presented by the body`s own cells that may indicate a viral infection or a genetic alteration as for example a mutation – a characteristic of tumor cells. Peptides identified by immune cells are known as antigens. T cells that recognize antigens can trigger a reaction that destroys the targeted cells. In recent years research teams, including TUM researchers, have successfully utilized this characteristic for cancer treatments. Different approaches have emerged. 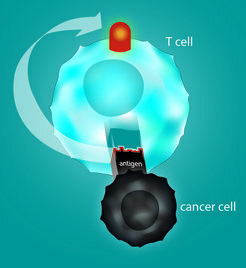 Vaccinating a patient with an antigen can stimulate the body to enhance the production of specific T cells. Another possibility is to enrich T cells that are "trained" for certain antigens and transfer them to the patient. A method, that identifies the antigen structures of patient specific tumors has now been developed by a team led by Angela M. Krackhardt, a professor of translational immunotherapy at the Third Medical Clinic at TUM's Klinikum rechts der Isar, and Professor Matthias Mann of the Department of Proteomics and Signal Transduction at the Max Planck Institute of Biochemistry. Krackhardt and Mann have described their approach in an article published in the Journal Nature Communications. 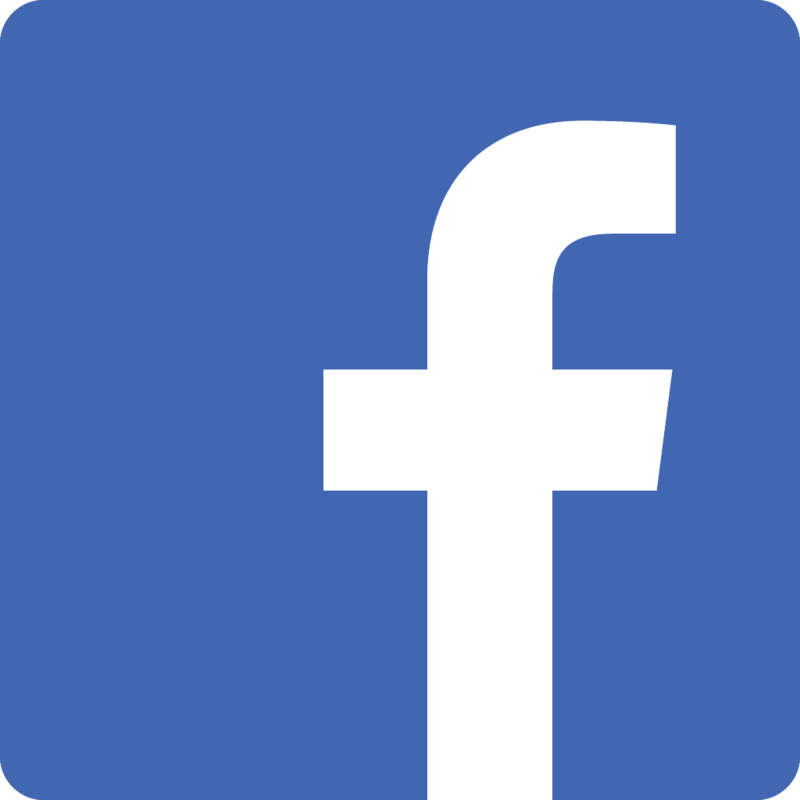 Unlike former applied methods, it is not based on predictive models. Instead, a mass spectrometer is used to identify the peptides actually present on the tumor surface. Falkner, S., Grade, S., Dimou, L., Conzelmann, K.K., Bonhoeffer, T., Gotz, M., and Hubener, M.
The ability of the adult mammalian brain to compensate for neuronal loss caused by injury or disease is very limited. Transplantation aims to replace lost neurons, but the extent to which new neurons can integrate into existing circuits is unknown. Here, using chronic in vivo two-photon imaging, we show that embryonic neurons transplanted into the visual cortex of adult mice mature into bona fide pyramidal cells with selective pruning of basal dendrites, achieving adult-like densities of dendritic spines and axonal boutons within 4-8 weeks. 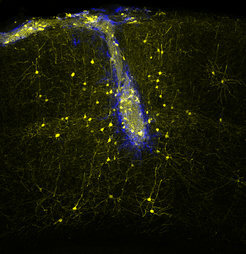 Monosynaptic tracing experiments reveal that grafted neurons receive area-specific, afferent inputs matching those of pyramidal neurons in the normal visual cortex, including topographically organized geniculo-cortical connections. Furthermore, stimulus-selective responses refine over the course of many weeks and finally become indistinguishable from those of host neurons. Thus, grafted neurons can integrate with great specificity into neocortical circuits that normally never incorporate new neurons in the adult brain. When it comes to recovering from insult, the adult human brain has very little ability to compensate for nerve-cell loss. Biomedical researchers and clinicians are therefore exploring the possibility of using transplanted nerve cells to replace neurons that have been irreparably damaged as a result of trauma or disease. However, it is not clear whether transplanted neurons can be integrated sufficiently, to result in restored function of the lesioned network. Now researchers at the Max Planck Institute of Neurobiology in Martinsried, the Ludwig Maximilians University Munich and the Helmholtz Zentrum München have demonstrated that, in mice, transplanted embryonic nerve cells can indeed be incorporated into an existing network and correctly carry out the tasks of damaged cells originally found in that region. Neurodegenerative diseases such as Alzheimer's or Parkinson's disease, but also stroke or certain injuries lead to a loss of brain cells. The mammalian brain can replace these cells only in very limited areas, making the loss in most cases a permanent one. The transplantation of young nerve cells into an affected network of patients for example with Parkinson's disease, allow for the possibility of a medical improvement of clinical symptoms. However, if the nerve cells transplanted in such studies help to overcome existing network gaps or whether they actually replace the lost cells, remained unknown. Park, D.I., Dournes, C., Sillaber, I., Uhr, M., Asara, J.M., Gassen, N.C., Rein, T., Ising, M., Webhofer, C., Filiou, M.D., Muller, M.B., and Turck, C.W. Sci Rep, 2016, 6 , 35317. Purine and pyrimidine metabolism: Convergent evidence on chronic antidepressant treatment response in mice and humans. 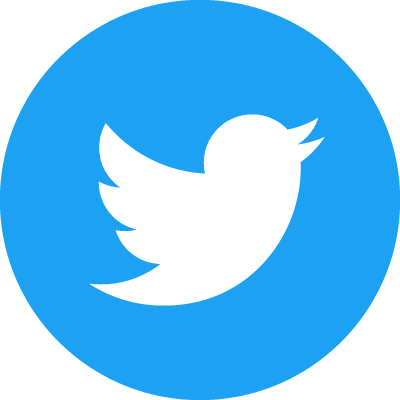 Selective Serotonin Reuptake Inhibitors (SSRIs) are commonly used drugs for the treatment of psychiatric diseases including major depressive disorder (MDD). For unknown reasons a substantial number of patients do not show any improvement during or after SSRI treatment. We treated DBA/2J mice for 28 days with paroxetine and assessed their behavioral response with the forced swim test (FST). Paroxetine-treated long-time floating (PLF) and paroxetine-treated short-time floating (PSF) groups were stratified as proxies for drug non-responder and responder mice, respectively. Proteomics and metabolomics profiles of PLF and PSF groups were acquired for the hippocampus and plasma to identify molecular pathways and biosignatures that stratify paroxetine-treated mouse sub-groups. The critical role of purine and pyrimidine metabolisms for chronic paroxetine treatment response in the mouse was further corroborated by pathway protein expression differences in both mice and patients that underwent chronic antidepressant treatment. The integrated -omics data indicate purine and pyrimidine metabolism pathway activity differences between PLF and PSF mice. Furthermore, the pathway protein levels in peripheral specimens strongly correlated with the antidepressant treatment response in patients. Our results suggest that chronic SSRI treatment differentially affects purine and pyrimidine metabolisms, which may explain the heterogeneous antidepressant treatment response and represents a potential biosignature.